Alternative spring break is an option open to students of every major to take a trip to domestic and international locations to complete various projects. The trips give students the opportunity to experience a different culture, while doing volunteer work or gaining an educational experience. Possible domestic locations for this year include Kentucky and North Carolina and international locations are Puerto Rico, Jamaica, Dominican Republic and Costa Rica. The applications for alternative spring break 2019 were sent out this past week and are due Oct. 5. Some trips contain a class component like the trip to Costa Rica, which is about ecotourism and wildlife and taught by Dr. Andrew Miller, associate professor of political science and Dr. Jeffrey Stratford, associate professor and director of biology at Wilkes. Other trips are designed for students to have the opportunity to help the community. The trip to Puerto Rico is specifically for students to help with the effects of Hurricane Maria on the local communities. Furthermore, the trips to Kentucky and North Carolina are service trips for rebuilding and environmental issues. Alternative spring break is curated every year to give students a more active role in the domestic trips as they are fostoring those relationships through student led initiative. The students who are coordinating these trips, have gone to a civic engagement camp over the summer to learn skills to bring back to campus. These trips are coordinated in country with local residents that are willing to open up their homes to the students both domestically and internationally. 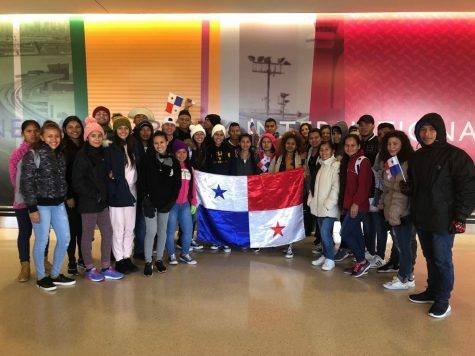 Erica Acosta, the associate director of diversity at Wilkes University, has spent seven years with the program and is an advisor for the group that goes to the Dominican Republic.“It is exciting to teach students about my culture and see the before and after. So like the before, we are doing the prepping, planning, fundraisers, introducing them to different types of food, and then seeing the transformation seeing what happens in country. I like that, that is beautiful,” said Acosta. There are alot of different options with trips ranging in prices. Domestic trips range from $300 to about $500 to go, not including fundraising efforts. International trips cost more because of airfare, transportation and housing so that ranges from $1,800 to $1,900, also not including any fundraising efforts that students are willing to put in. “Experiences are different because each group is different. These experiences allow students to take on more social justice role. When students fill out their application, there are no choices for destination so students can focus on just what type of service and activities that they want to do,” said Acosta. Students spend working days doing service while on their trip. The hope is for student to come back more open-minded and grateful for what they have. These trips are designed so that students can learn to become more aware about the social, political and economic issues of the places they are visiting. Students will be able to learn about various rights domestically and internationally while also appreciating the freedom that we have and using it to help others. “Our big mission is like speak for those that can’t have a seat at the table. How do you do that through is either community service, getting to know their communities, getting to know the people. We just want students to help and understand the community. These trips are transformational depending on the students mission,” said Acosta. Before going on each trip, there are meetings for students to learn about the community and the various customs that they will encounter. They will also have a chance to try the traditional foods of the community before going on the trip. Students will have the chance to talk with their advisors and ask any questions they have regarding the community that they will be working in. This gives students the chance to become more comfortable before going on the trip. Caroline Rickard, a communication studies major with a concentration in strategic communications and a minor in marketing, went on the alternative spring break to Costa Rica where they worked with local coffee workers to learn about fair trade. She said it was a humbling experience for her as they worked with local coffee farmers and did community service at the local community center. The community service that they did was painting the handball court, playground, wall outside of the soccer field and side of their recreational building. Rickard had always wanted to do a service trip because it was something that she was always very passionate about. “One of the main things that I got out of going to Costa Rica is understanding the life in a different country as this was the first time ever outside the United States and seeing how people live and their culture was so incredible and humbling. It taught me how to be humble and not take things for gratitude. It showed me a different way of life and a different culture,” said Rickard. Lyndsey Shay, a double major in political science and international studies on the pre-law track, also attended the trip to Costa Rica. She mentioned that she had always wanted to do an international community service trip. Students got to pick coffee while also learning about the process by which it is sent to other countries and how it affects the economy. “This trip was super eye opening for me for multiple reasons. Personally, I learned so much about myself and working with other people. It is hard to explain but so much happened on the trip that just made me realize like this is an awesome feeling being able to give back and have these people be so excited about something,” said Shay. For more information about the trips, keep an eye on wilkes today or email Erica Acosta at erica.acosta@wilkes.edu or civicengagement@wilkes.edu.